looking to enjoy a week of serious off-roading on some of the country's most renowned trails. 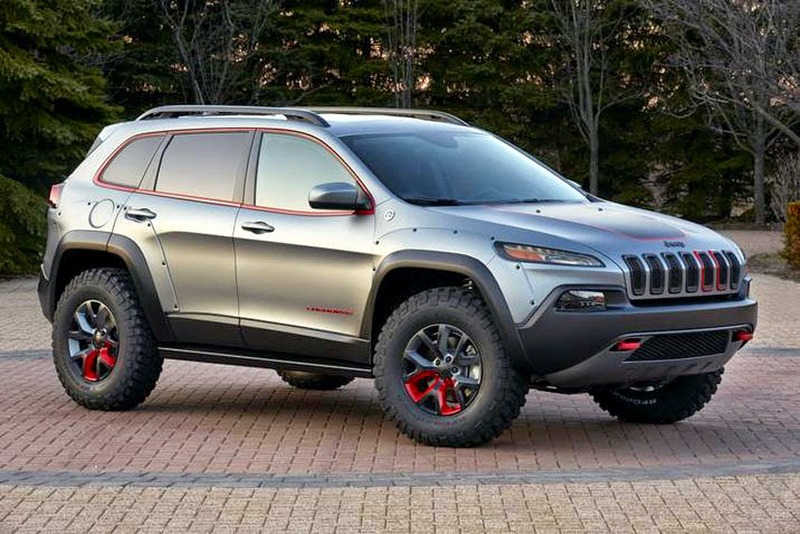 "We head to Moab and the Easter Jeep Safari with six new vehicles we know Jeep enthusiasts will truly appreciate - including our first two new Jeep Cherokee models built specifically for this important event," said Mike Manley, President and CEO, Jeep Brand, Chrysler Group LLC. "We look forward to putting these new Jeep vehicles in their proper environment and receiving important feedback from our most loyal customers at their favorite annual off-road gathering." Jeep and Mopar used production and prototype Jeep Performance Parts on this year's collection of concept vehicles. Jeep Performance Parts are specifically designed, built and quality-tested to meet strict Jeep specifications, 4x4 capability, craftsmanship and versatility to help transform production Jeep vehicles into even more extreme trail performers. "This year, we're showcasing a combination of Mopar and Jeep Performance Parts on our vehicles for off-road enthusiasts to see a variety of customization and personalization options," said Pietro Gorlier, President and CEO, Mopar, Chrysler Group LLC's service, parts and customer-care brand. "Since 2002, Jeep and Mopar have teamed to create more than 40 unique concept vehicles for enthusiasts who attend the popular Easter Jeep Safari."